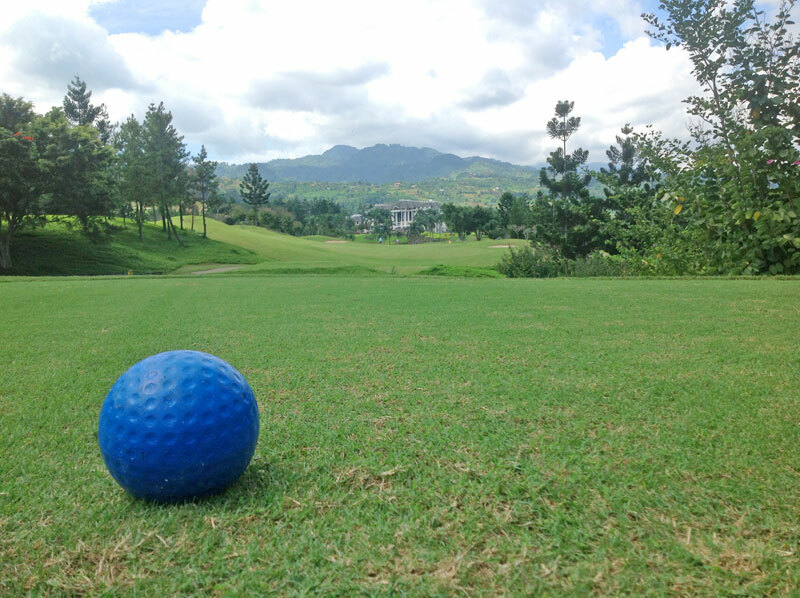 In this issue, we shift gears from golf instruction and focus on the golfing experience here in Indonesia. With so many wonderful golf courses available throughout Indonesia and the Jakarta vicinity, material and inspiration for this column is in great abundance. The only problem is where to start. As luck would have it, I recently met the new General Manager at Rainbow Hills while attending The Indonesian Masters back in early May. 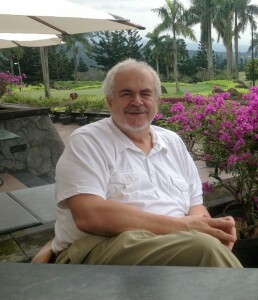 Werner Jayson is no stranger to golf course management here in Indonesia, having been involved in several notable golf courses over the years. Rainbow Hills is not Werner’s first collaboration with famed golf course designer/architect Bob Moore, and with construction underway of an additional nine holes, and renovation of existing facilities and club house, no better team could be assembled for the task. What follows here is an account from a recent visit at Rainbow Hills, and my overall impression of golf course and facilities. The drive out to Rainbow Hills was a pleasant one, less than an hour by car from Jakarta via the Jagorawi toll road; the exit is Sentul City. From the toll exit, the golf course is an easy find with clearly marked signs leading the way. Approximately 15 minutes from the toll exit along a well-paved road, meandering through several quaint, if not charming, Sentul area villages. Keep in mind, Rainbow Hills is indeed a mountain course and the ascent is obvious throughout the drive up to the golf course. As I arrived at the clubhouse entrance, the staff greeted me warmly and with the welcoming smiles I have come to appreciate and admire so much about Indonesian hospitality. It is no secret to the ‘initiated’ Expat golfer that clubhouse facilities in Indonesia are without peer. Certainly this is also the case at Rainbow Hills. The grandeur of the clubhouse is understated as one approaches the entrance by car, but once inside there are subtle hints and a room with a view. I wouldn’t classify the clubhouse as either opulent or understated, only to say that the approach shot into the 18th green provides for the best perspective. From this vantage point the clubhouse is truly something to behold. Keep in mind that a good amount of restoration is planned and ongoing throughout the entire property. A total renovation of the clubhouse begins in July and will be completed by year’s end. As mentioned, Werner Jayson is no stranger to golf course management. While Rainbow Hills is perhaps one of ‘Jayson’s’ more distinguished associations, his management experience in Indonesia dates back to 1994 with a resume that includes Gading Raya, Emeralda, Imperial and Padivalley. Folks, we are not simply talking about running the pro shop or setting tee times. Werner Jayson’s involvement started prior to course installation, continuing on to opening, and then overseeing management and the operation of these world-class golf course designs. Thank you Mr. Jayson, a job well done! An exceptional course design doesn’t come on the cheap, and with Rainbow Hills the ownership spared no expense in hiring JMP’s Bob Moore for the job. The JMP/Moore portfolio is lengthy and distinguished; you may wish to visit the JMP website for edification: http://www.jmpgolf.com/Portfolio.htm. No doubt you will recognize some of the many signature courses attributed to the JMP team worldwide. In addition to Rainbow Hills, JMP is also responsible for the following list of Indonesian golf course gems: Padivalley, (Makassar), Royal Jakarta, (Halim), Padang Golf, (Batam) and Royal Sumatra, (Medan). Again, Rainbow is a mountain course layout, 18 holes of Bermuda fairways and greens and soon the course will host 27 holes with the additional nine scheduled for completion November this year. The course measures 5,895 meters from ‘the blues’, and course rating par 72.3 with a slope of 137. Not a terribly long course by today’s standards, but not short either. Plenty of challenge waits with valleys, ravines, barrancas and even water to contend with; accurate tee and approach shots are required to score well. 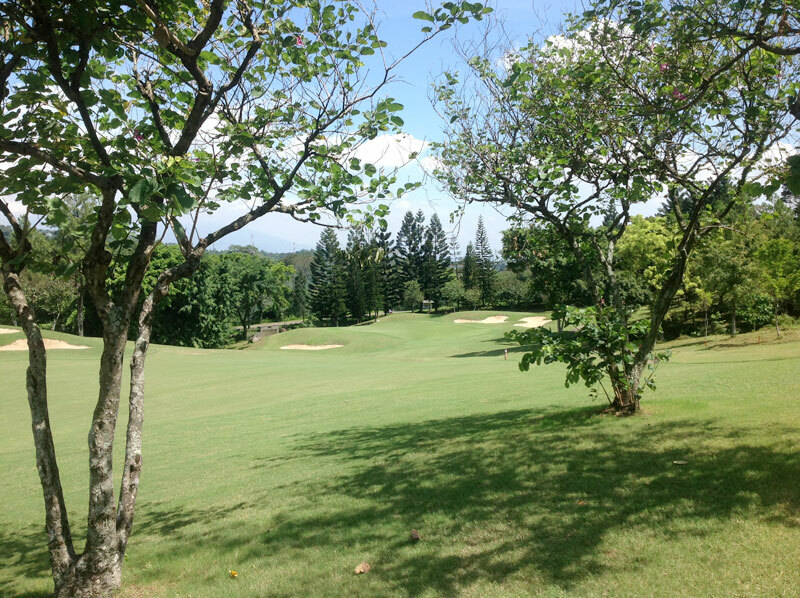 The course is situated in the highlands of the Bogor region, with sloping fairways, blind approach shots and elevated tees that present golfers with scenic mountain views throughout the property. According to Jayson, Bob Moore insists that all the holes he designs on a golf course are ‘signature’, preferring not to characterize any one hole as being a ‘signature’ hole. That said, anyone who has played Rainbow Hills knows that it is the par 5, 13th hole, overlooking the valley below and adjacent volcanoes that stands out as the signature hole at Rainbow Hills. The layout of the course truly gives one the feeling of isolation. Living in the Jakarta area as I do, with ‘progress’ and humanity so omnipresent, the departure from all the noise and bustle of civilization is welcome as is the genuine sense of getting away from it all. I would definitely recommend Rainbow Hills to any golfer. An easy drive and escape from urban sprawl to remote countryside. You will be greeted with warm, friendly service and catered to by the staff of some 300 employees and a management team, acutely aware of the many options available to golfers in Jakarta; Rainbow Hills is certainly one of the very best. 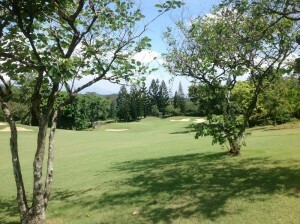 To contact the course and to reserve a tee time, you can visit their website at: http://www.rainbowhillsgolf.com. Until next time, hit ‘em straight!